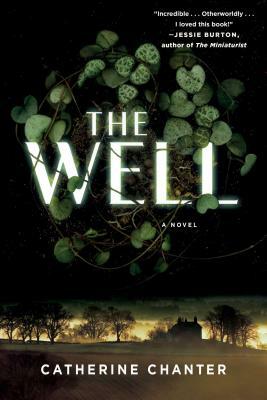 Set in a modern-day Britain where water is running out everywhere except at the farm of one seemingly ordinary family whose mysterious good fortune leads to a shocking act of violence, The Well is “extraordinary...a mesmerizing read…combining a gripping mystery, nuanced psychological drama, and striking prose” (Publishers Weekly, starred review). When Ruth Ardingly and her family make that first long drive up from the city in their grime-encrusted car and view The Well, they are enchanted by a jewel of a farm that appears to offer everything they need: an opportunity for Ruth, an escape for her husband, and a home for their grandson. But when the drought begins, everything changes. Surrounded by thirty acres of lush greenery, the farm mysteriously thrives while the world outside crumbles under the longest dry spell in recorded history. No one, including the owners, understands why. But The Well’s unique glory comes at a terrible price. From the envy of their neighbors to the mandates of the government, from the fanaticism of a religious order called the Sisters of the Rose to the everyday difficulties of staying close as husband and wife, grandmother and child—all these forces lead to a shocking crime. Accusations of witchcraft, wrongdoing, and murder envelop the family until their paradise becomes a prison. A beautifully written debut novel that “channels Margaret Atwood and Gillian Flynn, creating a story that’s speculative and suspenseful” (Minneapolis Star Tribune), The Well is an utterly haunting meditation on the fragile nature of our relationships with each other and the places we call home. Catherine Chanter is a teacher, poet, and short story writer. She is the winner of the Yeovil Poetry Prize and the Lucy Cavendish Prize awarded by Cambridge University. She grew up in the West Country before attending Oxford. The Well is her first novel.